German scholar of the seventeenth century. He translated into Judæo-German the historical portions of the Bible. In the preface to his translation he says that he derived his version from the "Galchisch" Bible (Bible of the "gallaḥim," or priests), that is, from Luther's translation, to which he added the legends, etc., found in the Midrashim and commentaries (1630?). Subsequent editions appeared at Prague (1674) and at Dyhernfurth (1704). 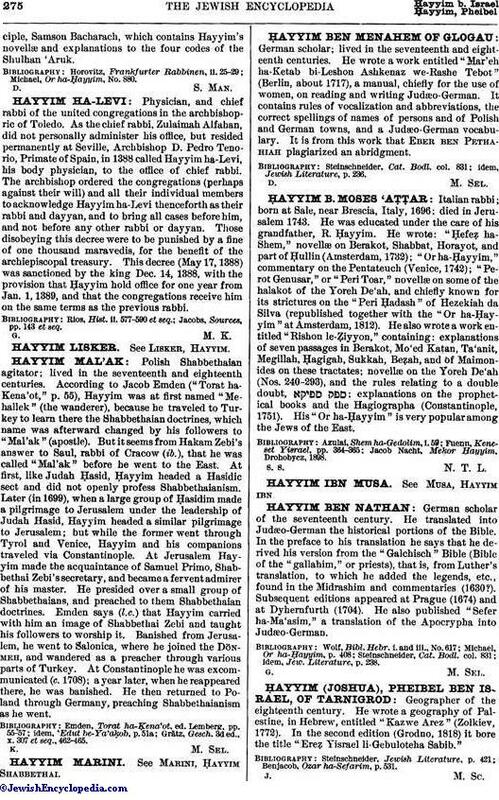 He also published "Sefer ha-Ma'asim," a translation of the Apocrypha into Judæo-German. idem, Jew. Literature, p. 238.